Currently there are a number of special offers available on the following Sensation Press Publications when ordered directly from the Sensation Press. 1. 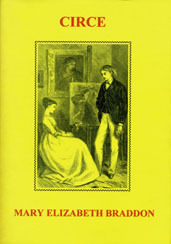 The Literary Lives of Mary Elizabeth Braddon by Jennifer Carnell. The remaining copies of The Literary Lives are now £25 - the remaining copies are signed by the author on the title page. Free UK postage (airmail postage extra worldwide). 2. 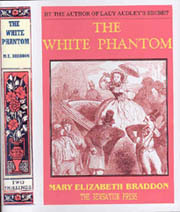 The White Phantom by Mary Elizabeth Braddon is now £12.99. Free UK postage (airmail postage extra worldwide). 3. Circe by Mary Elizabeth Braddon is now £12.99. Free UK postage (airmail postage extra worldwide). 4. 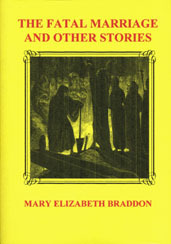 The Fatal Marriage and Other Stories by Mary Elizabeth Braddon is now £12.99 Free UK postage (airmail postage extra worldwide). 5. 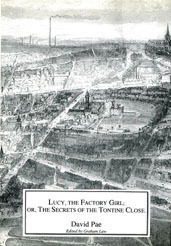 Lucy the Factory Girl by David Pae is now £12.99. Free UK postage (airmail postage extra worldwide). Postage / Shipping: Free UK postage (airmail postage extra worldwide). How to pay: If you are in the United Kingdom, a cheque can be made payable to The Sensation Press. We do not take credit cards directly ourselves, but payment can be made by credit card for any amount via the website Paypal - click here to see their site: Paypal. If you wish to pay via Paypal, we will email you a Paypal bill/invoice which you can then pay.